where = 2 , k = 2 / , and A is the amplitude. The frequency is related to the wavelength and wave velocity by the formula: = v. Figure 03 shows the cosine wave (for A = 1) at two instants of t = 0, and t = / . 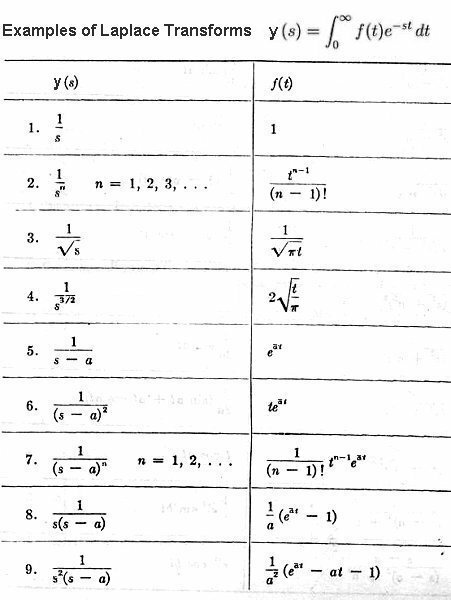 Note: see footnote for derviation of the differentiation for the sine and cosine functions. which together with Eq. 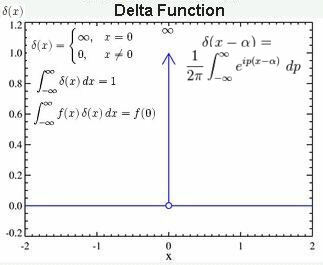 (9) are known as Fourier transforms. Similar linear combination with the exponential function in Eq. (4) is called Laplace transforms. The Laplace transformation offers a direct method of solving linear ordinary and partial differential equations (the mathematical detail will not be pursued here). nk|nk' = nknk'. In quantum theory, the coefficient or component (such as the f(k-k0) in Eq. 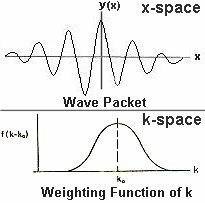 (9)) for each of such basis has been identified as the probability amplitude with the state k.
1A vector is a mathematical entity with two or more space dimensions such as the velocity of an object v in Figure 04b. 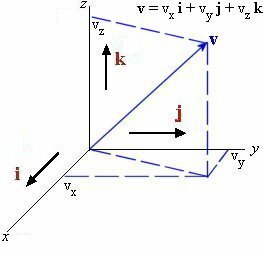 Loosely speaking, a (second rank) tensor is the product of two vector spaces (un-prime and prime) with ii', ij', ..., kk' as its bases. A practical example of the linear differential equation is given in the next section.